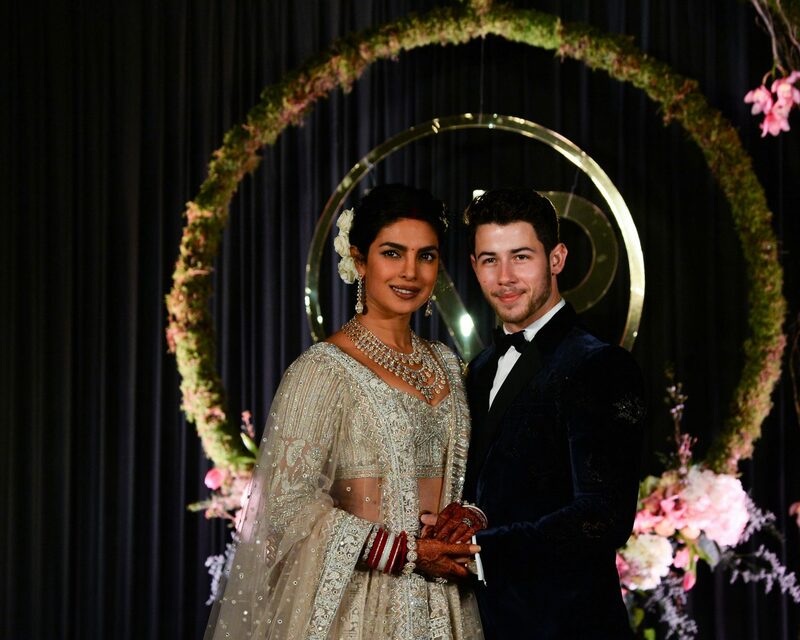 Priyanka Chopra and Nick Jonas’s wedding week is still going after the couple married this weekend in not one, but two ceremonies. 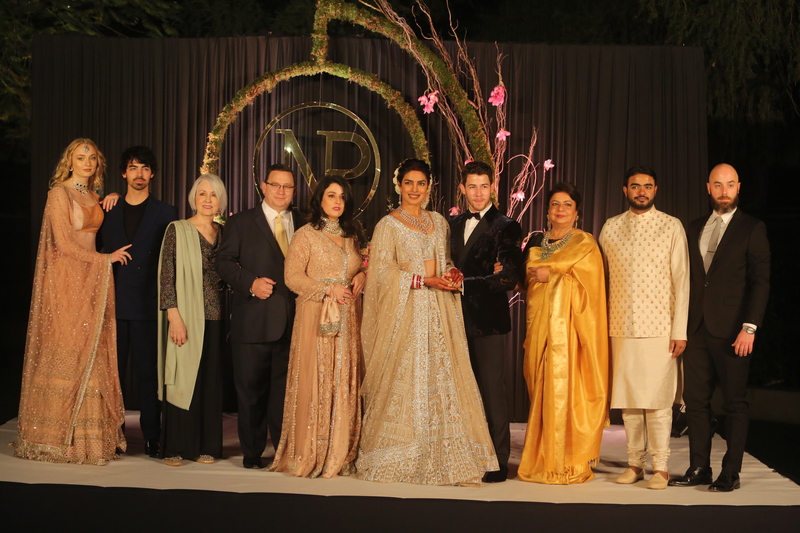 The newlyweds on Tuesday, December 4, hosted a reception in New Delhi, where they posed for photos alongside their family members. Once again, Chopra stepped out in a breathtaking, dazzling lehenga this time tapping Falguni Shane Peacock for the honor. Chopra glimmered in a blouse and dazzling skirt both in a silvery, champagne hue, while her new husband opted for a navy velvet suit from Musika Frère’s fall 2019 collection. The event was held at the Taj Palace Hotel, and Prime Minister of India, Narendra Modi, even made a guest appearance for the lavish affair. The couple posed on stage alongside their family members, including Sophie Turner and Joe Jonas, who were dressed for the lavish occasion. The couple posed for photographers in front of their monogram backdrop, featuring their initials “NP” in gold with greenery as part of a circular installation. Both had their wedding bands (from Chopard) on full display as they affectionately posed for photos. Chopra accessorized her outfit with diamond drop earrings and gorgeous cream roses adorning her updo. 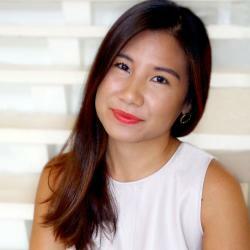 The couple had a big day Tuesday after debuting their wedding photos online. Chopra and Jonas married on December 1 at a luxurious palace in Jodhpur, India, following a whirlwind romance consisting of a two-month dating period followed by their engagement. This will be the first marriage for both stars. 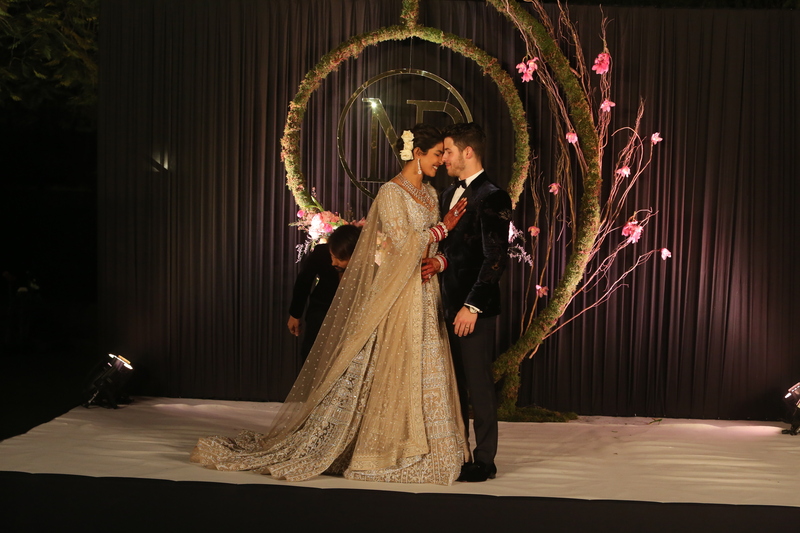 Be the first to comment on "Priyanka Chopra and Nick Jonas Host an Indian Wedding Reception"